MOSCOW, March 26. /TASS/. The Organization for Security and Cooperation in Europe (OSCE) has turned its back on protecting the electoral rights of Russian citizens during Russia’s presidential election on Ukrainian soil, although it had an opportunity to normalize the situation, Alexander Brod, member of the Russian Presidential Council for Civil Society and Human Rights, told reporters at a TASS news conference on Monday. On March 8, Ukrainian nationalists said that they would derail the voting during the Russian presidential election at the polling stations in Russia’s diplomatic missions in the country. Later on, Interior Minister Arsen Avakov said that the security regime "will not provide for Russian citizens’ access to these facilities for voting." On the election day, the voting was thwarted by both nationalists and law enforcement officers who let only diplomats enter the polling stations. 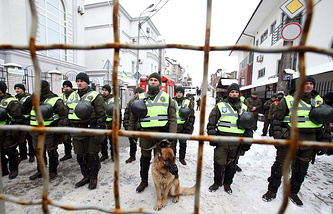 Russian citizens in Ukraine were stripped of an opportunity to cast their votes. "The OSCE, as you know, turned its back on protecting Russians’ rights arguing that this is an internal affair of Russia and Ukraine," Brod said, adding that the OSCE Charter envisages protection of citizens’ rights and monitoring electoral processes. He noted that, "for some reason, this information does not extend to Russian citizens on Ukrainian soil." He stressed that he agrees with the Central Election Commission’s stance on barring Russian citizens from voting, since "all instances of insulting voters, preventing them from voting should be registered." "We are ready to bring the issue to international courts, international human rights organizations to draw attention to these outrageous facts," Brod concluded. 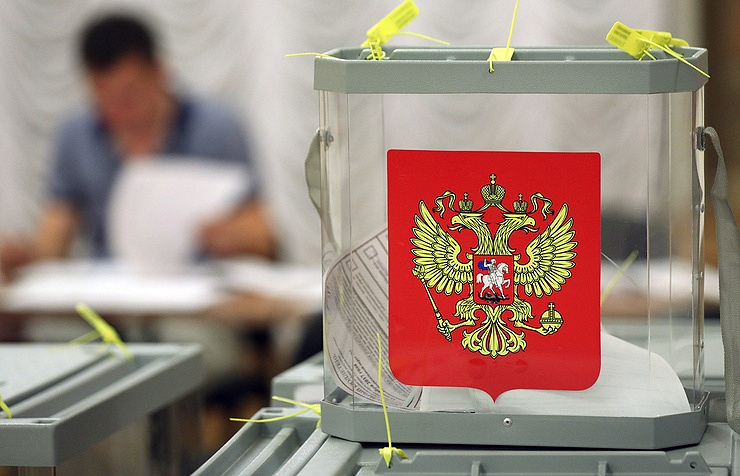 Russia’s presidential election was held on March 18. According to the final vote count, incumbent head of state Vladimir Putin won by a landslide garnering 76.69% of the vote. According to the Central Election Commission, the voter turnout was 67.5%.